Lion Shipbrokers is a family shipbroking firm, incorporated in the Marshall Islands with operations established in 2011 in Greece, the largest Ship-Owning nation in the world. 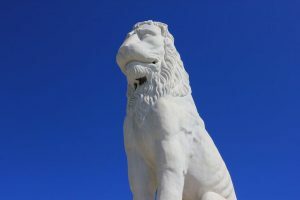 The ancient statue of the Piraeus Lion which is proudly standing at the Piraeus harbour’s entrance was the inspiration behind our Company’s name & logo: LION SHIPBROKERS deriving from the Ancient Greek word λέων (leon). We are here to help you sell or purchase your ship as well as finding a profitable charter by using our vast shipbroking experience, global network and latest shipping software tools. All of our brokers are university graduates and we are members of the Hellenic Shipbrokers Association (HSA) and Greek Shipping – Shipbroking Companies Association (G.S.S.C.A.) , ensuring our clients a high standard of ethical and professional conduct.